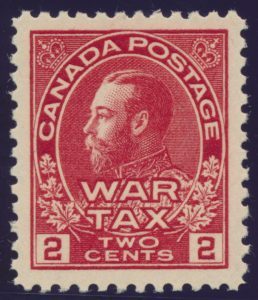 Lot 510 Canada #MR2 1915 2c carmine Admiral War Tax, a mint never hinged single with bright, rich colour, ideal balanced centering and extremely fine. 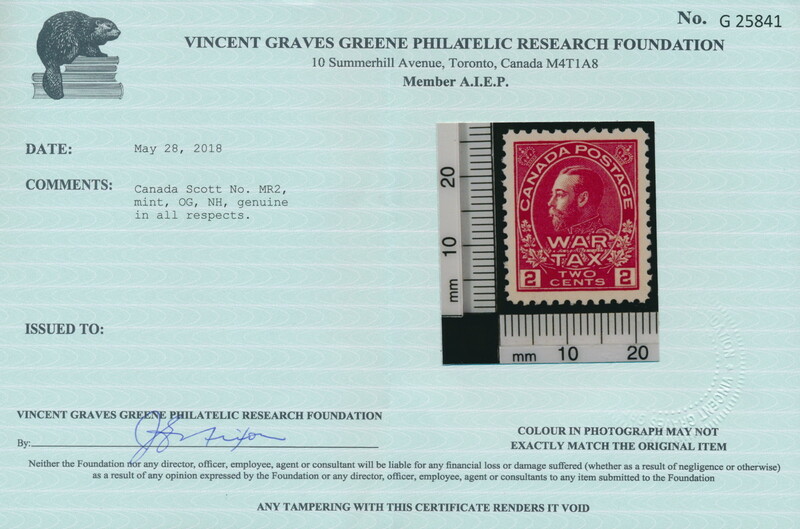 Accompanied by a 2018 Greene Foundation certificate. 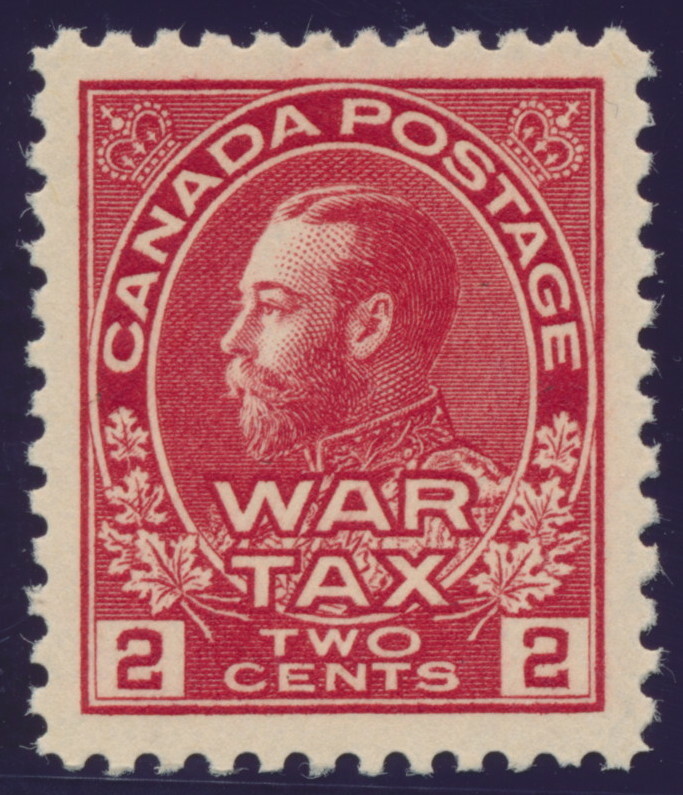 A very attractive example of this stamp. Unitrade CV$120, Rsv. Sold for C$170 plus 15% buyer’s premium.